Some STEM friends and I are teaming up to introduce you to some of the innovative activities that we have been working on. 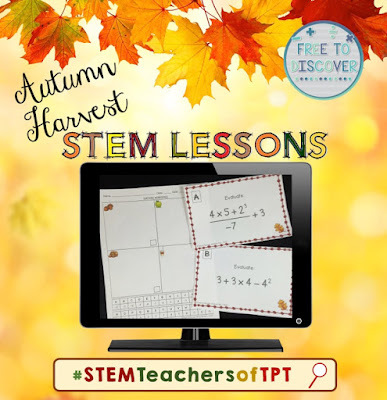 Check out some awesome math & science resources! My students and I LOVE these partner practice stations! 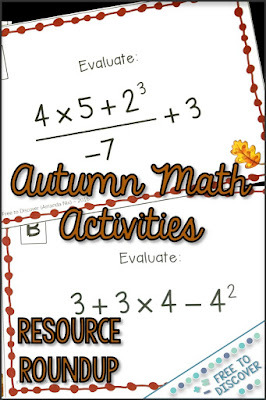 These activities are a mathematically meaningful, engaging way for your students to practice with skills they learning in class while also celebrating the holiday or season. Students practice their application of equations of parallel and perpendicular lines in this engaging, ready-to-use card sort activity. "My students loved it" say buyers. 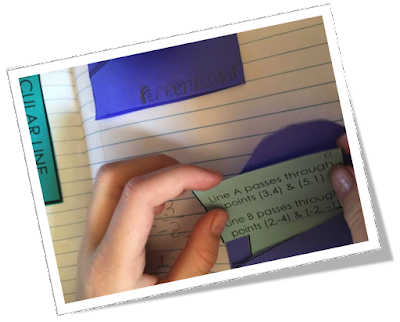 This Cut & Paste activity is designed for students enrolled in PreCalculus or Trigonometry. It can also be a refresher for Calculus students. 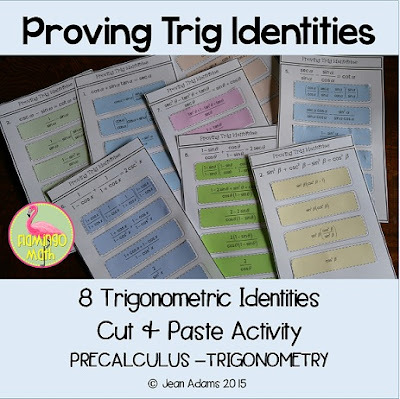 The lesson includes 8 trigonometric identities. 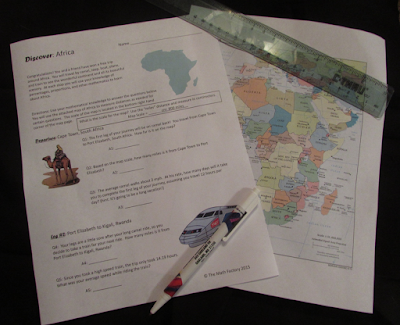 Africa is a great cross-curricular way to bring STEM into your proportions unit! Students (either alone or in pairs) work through questions that require measuring, calculating conversions, solving proportions, percentage problems, determining the mean, and reading a map. They learn about Africa as their journey takes them around the continent! 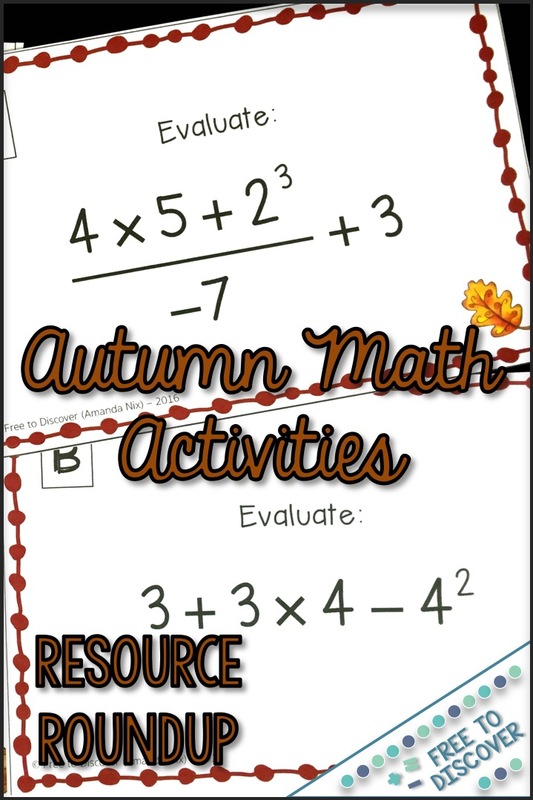 This is a fun activity that includes 5 fall-themed pictures. 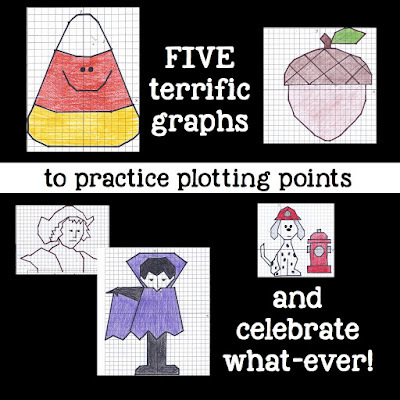 It will give students practice plotting points on the coordinate plane and what student doesn't need a little point plotting practice? ?